The higher we are, the larger the dip of the horizon. 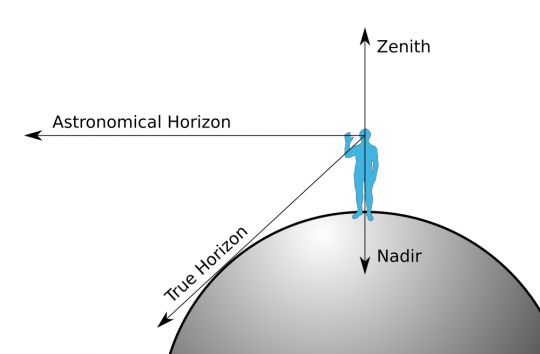 On the surface of the Earth, the astronomical horizon is practically the same as the true horizon and our brain is trained to treat both horizons as one and the same. Without a reference, we are unable to perceive the dip of the horizon. 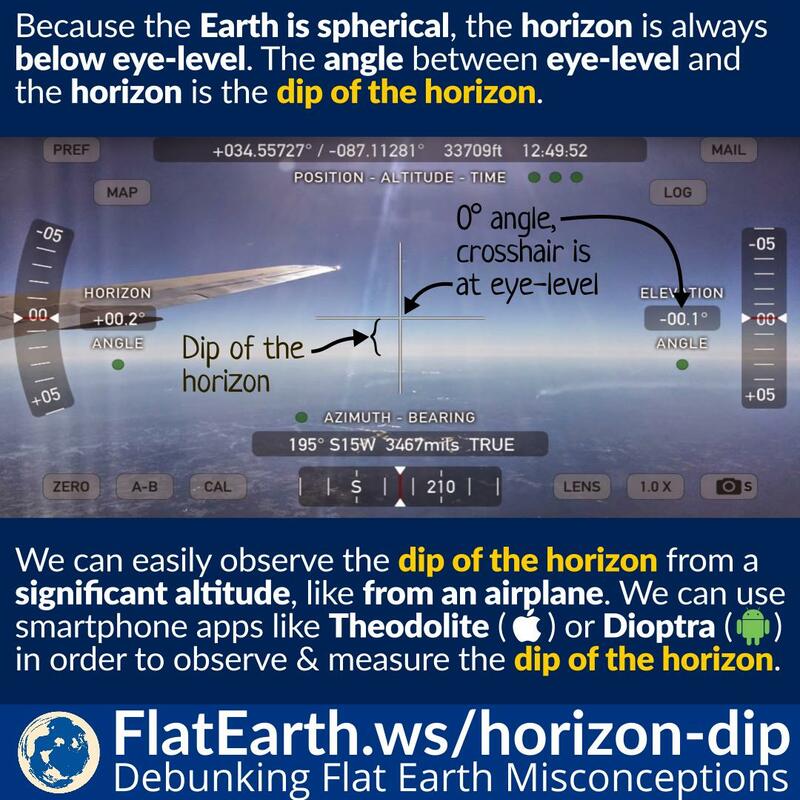 If we are at a significant altitude from the surface —like on a flight, or on top of a mountain— we can use smartphone apps like Theodolite on iPhone or Dioptra on Android. Using one of these apps, we can determine the eye-level and observe the dip of the horizon very easily. Don’t forget to install the app before boarding an airplane. On good weather, we can easily observe that the horizon is below the eye-level. The dip of the horizon is one of the effects of the curvature of the Earth.